Is it time for you to see a podiatrist in Snohomish? Sometimes it can be difficult to tell whether or not the pain or issue that you are having with your feet and/or your ankles actually warrants a trip to see a professional. However, the last thing that you will want to do is wait too long before having the situation taken care of. If you go without treatment, there could be more involved health issues that will develop leading to more pain and discomfort. Heel Pain – It is a common issue with many people to feel heel pain and discomfort. Also known as plantar fasciitis, this is a condition that can be treated with specialty insoles, injections and other therapies that can give a certain level of relief. Swelling Or Numbness – If there is ever swelling or pain in one foot and not the other, you should always see a podiatrist. There could be an infection, broken bone or a rupture of the tendon. Swelling that takes place in both feet could be lymphedema. Pain While Walking – This is an issue that could be due to issues with the tendons or even problems in the foot the stem from the skeletal or muscular structure. Working with a podiatrist will help you to find the right shoes or accessories to allow you to alleviate the discomfort. No matter what type of pain or issue is developing with your feet, you can always make an appointment to see a podiatrist in Snohomish. 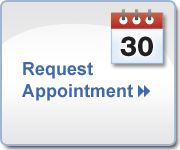 Call us today at Mill Creek Foot & Ankle Clinic at (425)482-6663 to set up a time for an initial consultation to start in on your treatment journey.